Hope you are all having a great week! I went and got a bunch of craft supplies yesterday after work and I am just waiting for the weather to get warmer to start some of them… that might not be until May at the rate it’s going. I HATE THE COLD. I could totally just skip right over winter and not miss it one bit. 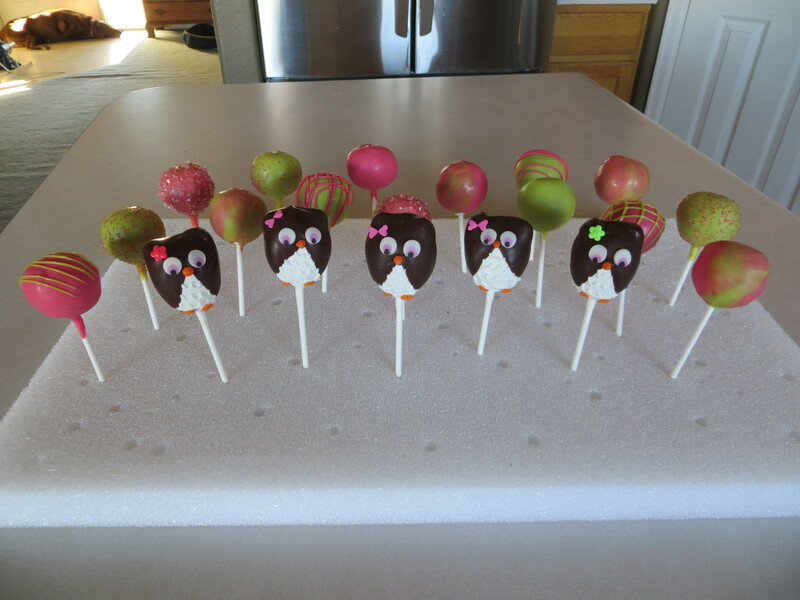 My most loyal customers asked for a cake pop order for her Grand Daughter’s 1st Birthday this weekend! She requested owls and I was so excited! I have always wanted to make owls, but never had a reason to. Plus, I used a color combination on the rest that remind me of summer and watermelon. 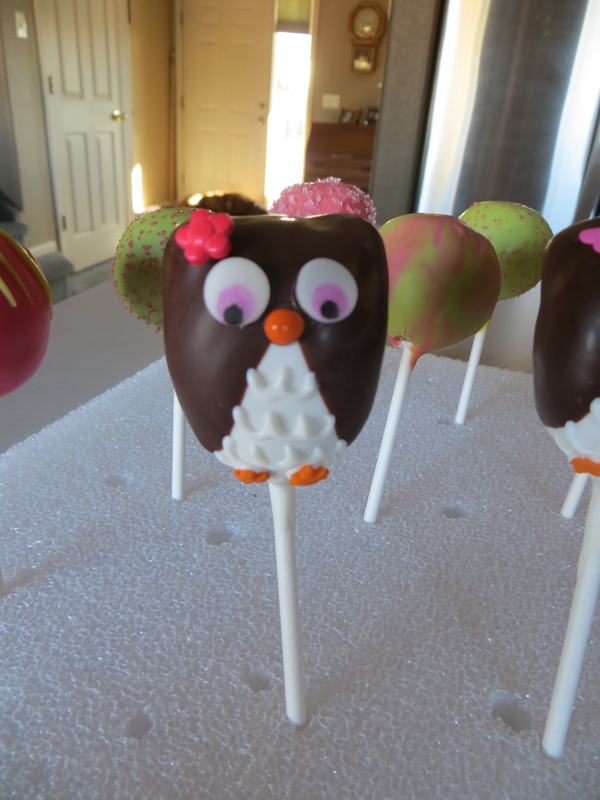 I just love the little flowers and bows on the owls, makes them a little more girly. OH, I also did the marbling technique for the first time in FOREVER! The first time I failed miserably, but these ones turned out great. Order some below if you live in the Littleton/Denver Area.